Last weekend, Coco got all dressed up to go to the Washintonian Magazine's Yappy Hour! 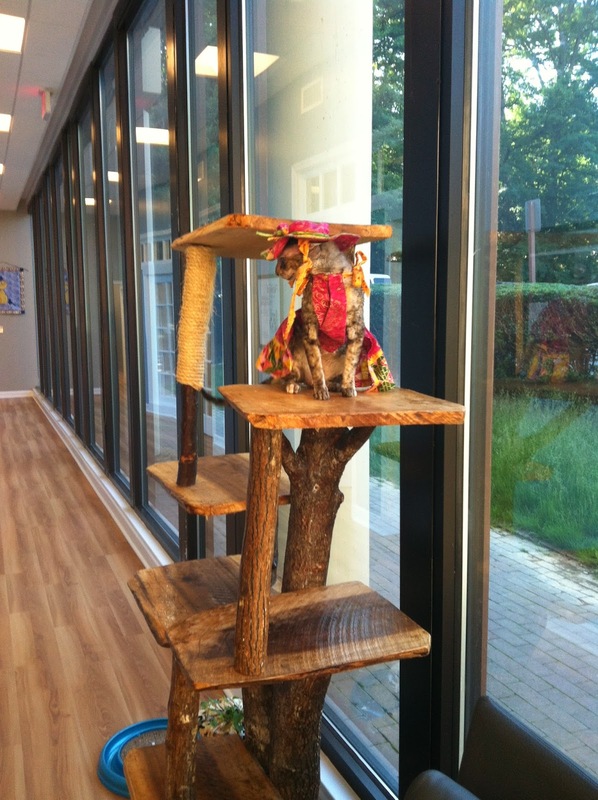 But I didn't get out of the house with her soon enough AND had to go to work, so the above photo is of her all dressed up and posing on the fabu cat tree at work! 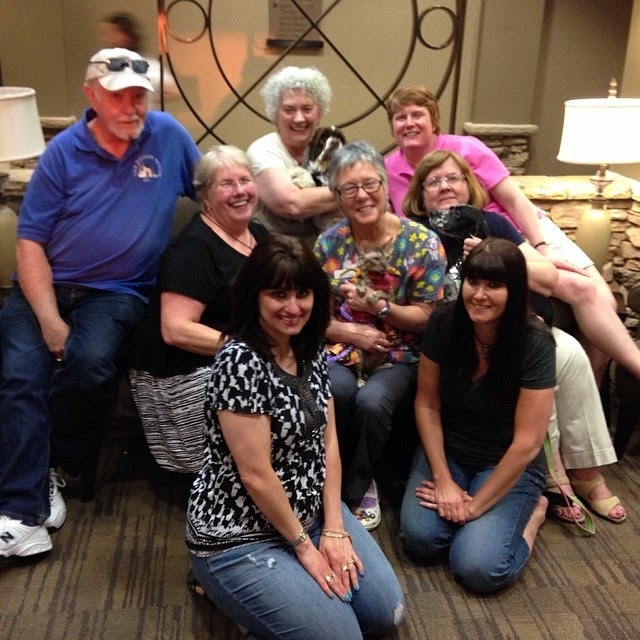 But we did get to go to dinner with some fab friends, and here's a pix of that fun gathering! And Coco says...Don't Forget To Hop to It! Wow, feedly was late getting this post out! Looks like a really fun event!